Lower revenue in the third quarter of 2018 (“3Q2018”) compared to the third quarter of 2017 (“3Q2017”) was mainly due to lower tonnage sold amidst soft market demand. Lower profitability in 3Q2018 and also 9M2018 was mainly attributable to i) lower tonnage sold, ii) margin erosion triggered by rising cost of scrap metal, coking coal and iron ore, and iii) net forex loss on weakened Malaysian Ringgit (“MYR”) against United States Dollar (“USD”). Higher revenue in 3Q2018 was due to higher export tonnage sold. Selling prices were, however, lower in 3Q2018. Domestic steel demand from both infrastructure and property segments remain soft. Furthermore, year-end monsoon periods affect the work progress of ongoing construction activity. The global steel industry continues to be negatively affected by ongoing trade frictions around the world and in particular, the impact of steel tariffs imposed on various countries by United States. This market disruption is currently depressing steel prices in export markets, which in turn, affects the profitability of the Group’s exports. 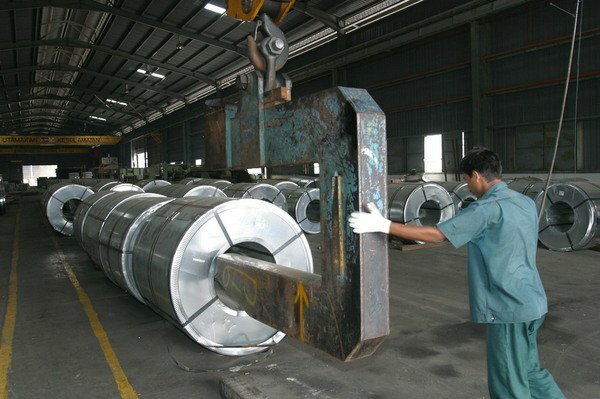 While global market conditions remain uncertain given evolving policy measures by various countries, the domestic steel industry could see a bottoming of demand in the first half of 2019 as the pace of steel demand may pick up in the second half of 2019 for selected large infrastructure and railway projects and high-impact development projects. Taking into consideration the challenging industry dynamics which are beyond the Group’s control, the Group’s performance for the remainder of the year is heavily dependent on the price trend of steel products in both domestic and export markets.